Every day we're creeping closer and closer to spring and it's making me so excited for warm weather and fun outfits! Taking weekend getaways and fun trips is the best feeling especially during these busy months. There are so many things to worry about when you're packing for a vacation and hoping to have everything fall into place for a smooth trip to your destination and an even better time once you arrive. 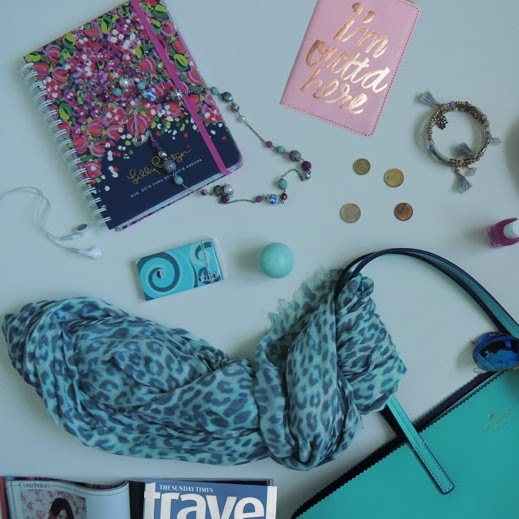 I've been dying to take a trip somewhere to get a change of scenery and hopefully some gorgeous weather - my packing list is never short, but it's definitely become less stressful and much easier knowing I have my Dove Dry Spray with me! 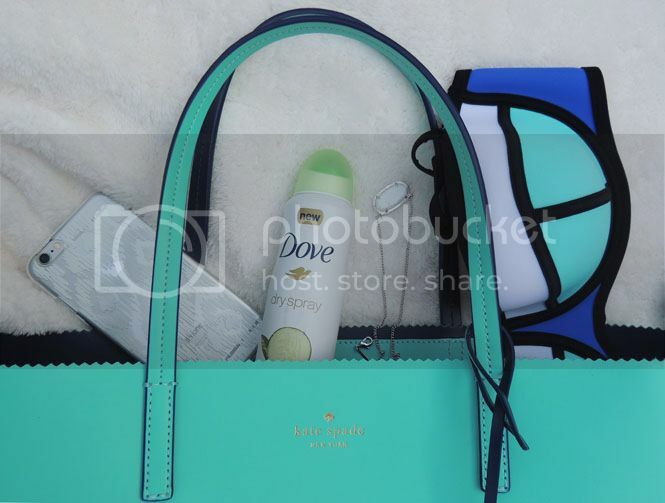 I'm so excited to have partnered with Dove to talk about one of the most important essentials not just for vacation but for every day use to keep you covered with up to 48 hour odor and wetness protection. Not only does the Dove Dry Spray come in a variety of insanely amazing scents (including natural for all fresh-scent lovers!) and has important moisturizers that help achieve smoother skin. Sun hat: a cute accessory that doubles as a sun protectant, what's better? I love cute sun hats and I'm so happy to have found a black one to add to my collection. Tote bag: I always take a few couple tote bags with me on any trip so that I have choices (duh) and because the more you can fit, the better. If you're going to a beach destination, make sure you have some totes that you don't mind putting in the sand! Fun jewelry: I'm not a huge fan of wearing jewelry to the beach, but simple dainty pieces can be really cute with a fun beach outfit! Small wallet/card case: there's nothing worse than lugging around a huge bag or wallet in the heat. I love to bring a smaller wallet or even a credit card case on trips so that I don't have much to carry or worry about once I leave the hotel. 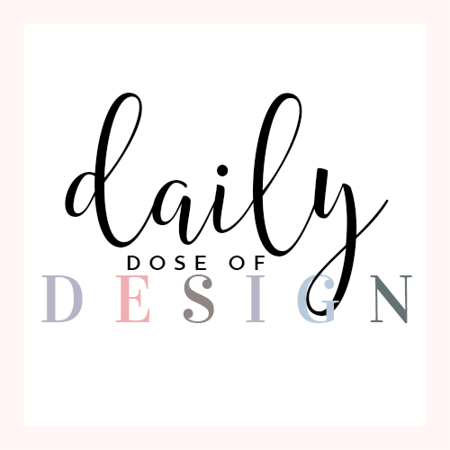 Dove Dry Spray Antiperspirant: my favorite beauty trend lately - you definitely don't want to miss out on trying this product! I swear by this dry spray - it comes in so many different scents (original clean, soothing chamomile, nourished beauty, beauty finish, cool essentials, revive, skin renew and sensitive) and is my favorite because of its instant dry application. 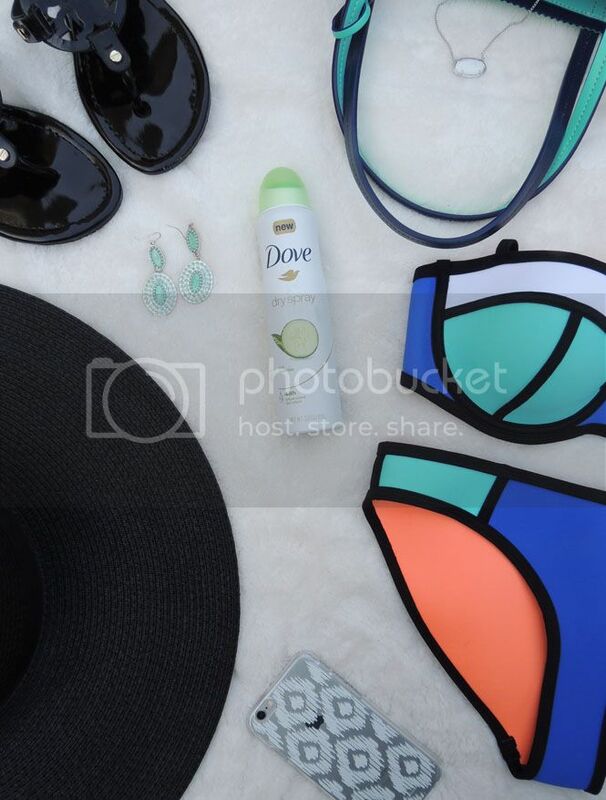 Whether you're having a busy day traveling or fun day of relaxing in the sun, this Dove Dry Spray Antiperspirant is perfect for all ages, activities and is by far the best way to experience real skin benefits! Be sure to visit Dove for more information and to try this awesome product! You can visit Dove on Facebook, Twitter and Instagram for even more info. 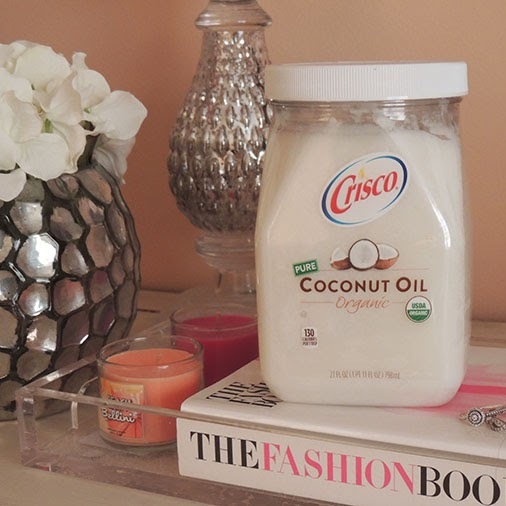 My favorite is the cool essentials and I'm trying the nourished beauty scent next! 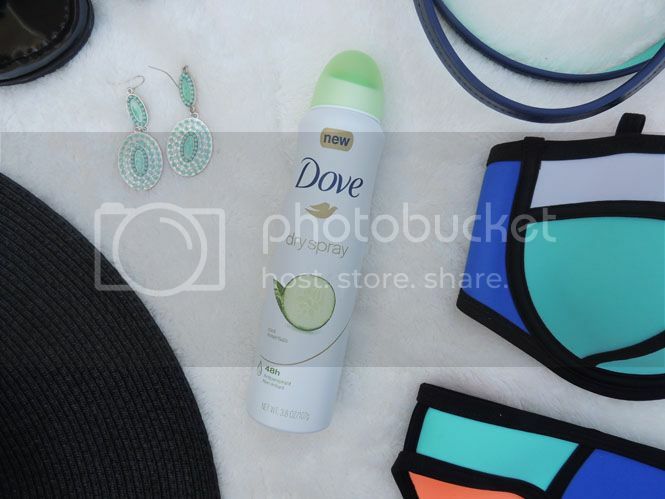 Do you have a favorite Dove Dry Spray Antiperspirant scent? I saw that bikini in Target last weekend and almost got it. It's super cute, but sadly they didn't have my size. I have been interested in trying the Dove sprays like that. I will have to give it a chance in the future. This swimsuit is adorable! I love the bright colors this looks so fun! I haven't tried Dove dry spray but it sounds convenient to use. Nice roundup. That bag and that bikini!! SO CUTE!! 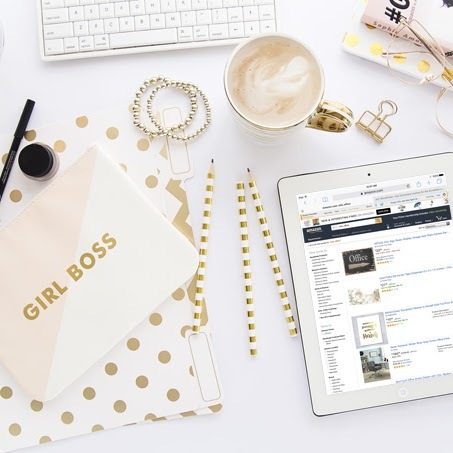 Love your suit and tote! I've been dying to try this dry spray lately! I love that bathing suit! and i've always been weirded out by spray deodorants...maybe I should give this dove one a try! Dove products are really great! I haven't tried this yet but I will now with summer approaching. I just received Dove dry spray from influenster to try and I'm pretty pumped (actually posting about it on my instagram later today!). 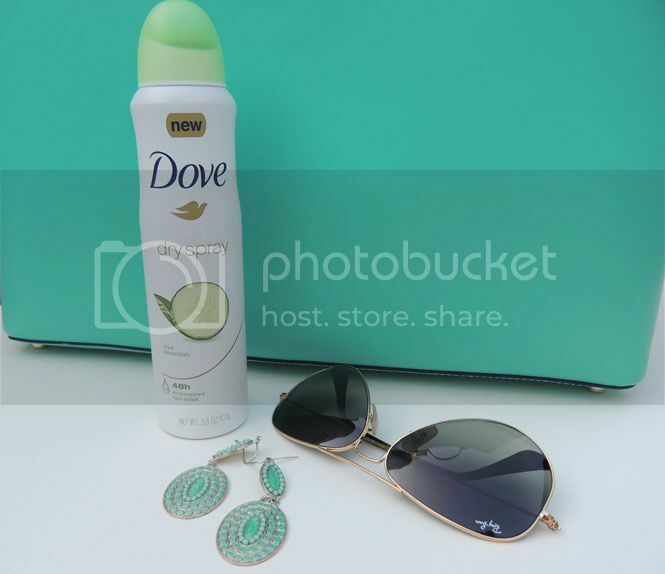 I got the same cucumber scent which is the same as the solid dove deodorant that I use so I think I'm going to like it! Obsessed with the bathing suit!! I love that sun hat! I've always wanted to get one, but the only ones I've found just make me look silly. :) I use the regular stick deodorant from Dove, but I've never tried the spray, I'll have to check it out! I'm using the one in the pink spray and like it a lot! I love dove products, their deodorants and body sprays work great on my skin. 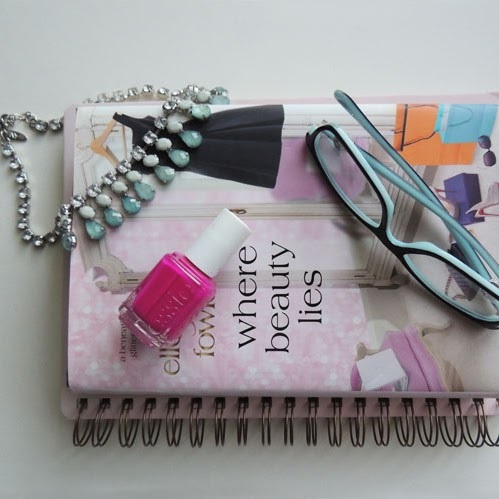 These are all definitely essentials when you're going away this weekend to somewhere sunny! I need that dry spray. Dove is amazing! I've never tried it, I'd like to try this Do Spray. I love that bikini! I've been wanting one like that so bad. And I love this antiperspirant, but I read in multiple articles that deodorants that come in aerosol cans can cause cancer? I'm not sure if that's accurate or not, but I ended up switching back to regular deodorant just in case lol it was awesome while it lasted though! Loving you bikini! 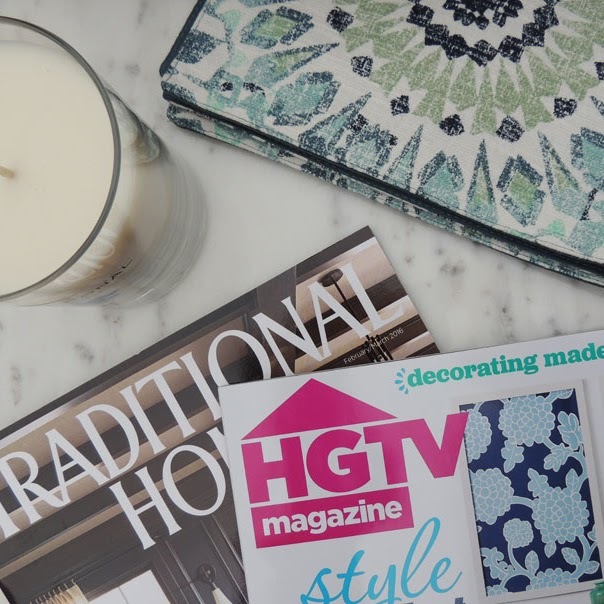 I'm headed for a beach getaway next week and seeing these necessities has me ever more excited! I've never tried spray on deodorant, but this one seems to be everywhere and sounds like a great product! I've used that spray for a long time. Spray-on is such a nice option! I love dry spray deodorant. It works the best for me. I have yet to try Dove, though! Haven't tried dove spray but I love dove's scents! Definitely trying this. I'm a big fan of Dove. I have used this can spray and loved it. I recently got a dry spray, too, and LOVE. It's such a cool product once you get used to it...and no white marks! Love! I love the colorblock bikini, so fabulous!! I use Dove spray sometimes. It really goes on great and lasts well! Love those earrings - Thanks for sharing!! In my weekends I go to beach and I love to wear bikni but due to cellulite I use to shy sometimes. After using the Dermology cellulite treatment cream my cellulite completely vanishes and now I feel proud to wear bikni.